As a pediatric psychologist, I am often asked the question: “Do you think medications are over-prescribed in children with ADHD?” The question is a valid one and the numbers are pretty clear: the rates of stimulant medication prescriptions in children rose dramatically in the 1990s (from under 1% to 2.7%) and have been rising at a more modest rate ever since (Zuvekas & Vitiello, 2012). The most recent rate of prescription in children and adolescents was 3.5% in 2008 (nimh.org). This sounds like a lot but the truth is, this number is still lower than the 5% prevalence rate of ADHD (American Psychiatric Association, 2014). What this suggests is that, while the majority of children with ADHD are on medication, there remains a large number who are not. 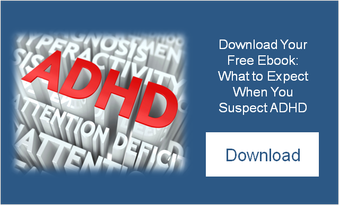 symptoms of ADHD (inattention, distractibility, and hyperactivity). What we also know about these medications, which is equally as important, is that they do not do much to impact the long-term course of ADHD (Molina, Hinshaw, Swanson, Arnold, Vitiello, Jensen, Epstein, Hoza, Hechtman, Abikoff, Elliott, Greenhill, Newcorn, Wells, Wigal, Severe, Gibbons, Hur, Houck, and the MTA Cooperate Group, 2009.) Furthermore, for reasons that remain unclear, the maintenance of medication treatment over time is not well sustained despite the fact that we know ADHD tends to be a chronic condition (Molina et al., 2009 and American Psychiatric Association, 2014). This is where additional intervention approaches are vital to supporting children with ADHD and thus far the consensus is a prolonged multi-modal treatment approach that adapts as the child progresses through differing developmental stages. Such approaches include behavior therapy with the child that focuses on specific skill building and self-awareness, parent training and psycho-education, teacher consultation, and classroom accommodations. As children enter middle school, it can also be beneficial to spend time with an executive function tutor to begin to lay the foundation for keeping oneself organized, compensate for weaknesses, and feel a sense of control in their lives. Medication is often an essential part of the treatment plan but to just treat the core symptoms of ADHD, without attention to the functional impairments it creates or the additional psychiatric conditions that often accompany it (learning disabilities, anxiety, depression, and conduct problem), would be remiss. Click here to listen to Dr. Amy Wolok discuss ADHD and medication in an interview on Bloomberg radio.